Here's a project that's been a loooong time in the making: the FINGER FIVE gang fingerpuppets! 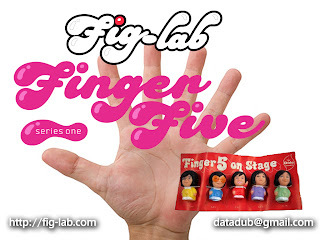 FINGER FIVE is a series of 5 (duh) japanese vinyl one-piece toys. We decided to go with fan-favorite MYSTERIOUS APE as our first entry. He's got one or two surprises in store yet. 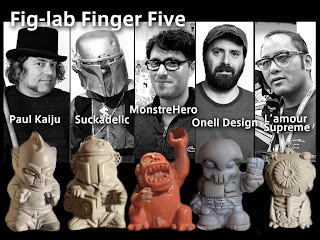 We're super-psyched to be a part of this motley crew which includes toy giants PAUL KAIJU, SUCKLORD, ONELL DESIGN and LAMOUR SUPREME!! 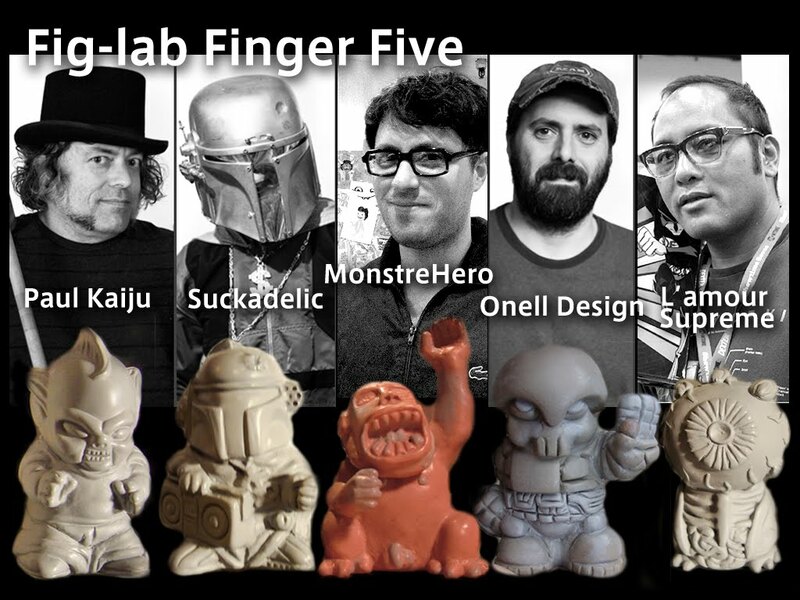 Big THANKS to Don Fig-lab Kratzer for putting this all together and inviting humble Monstrehero to be a part of it. More details as they come!